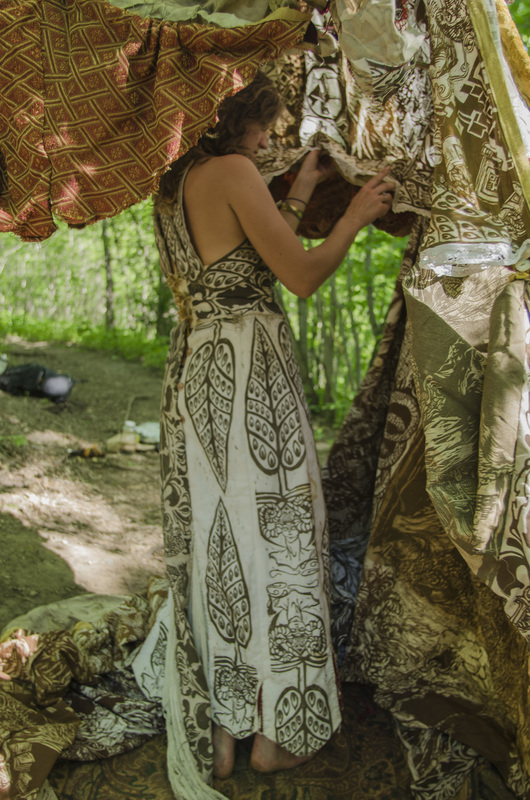 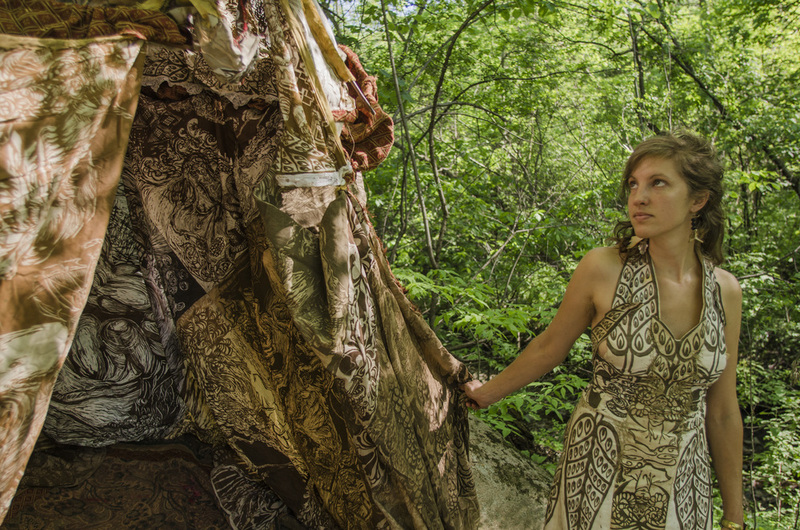 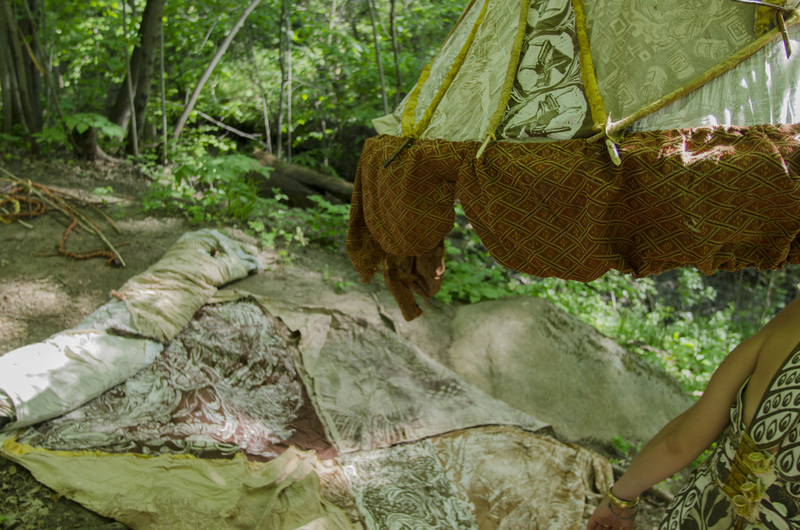 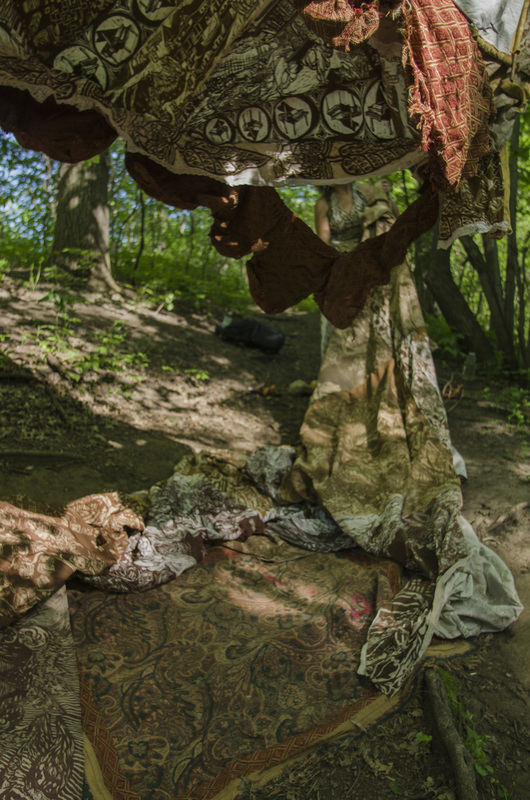 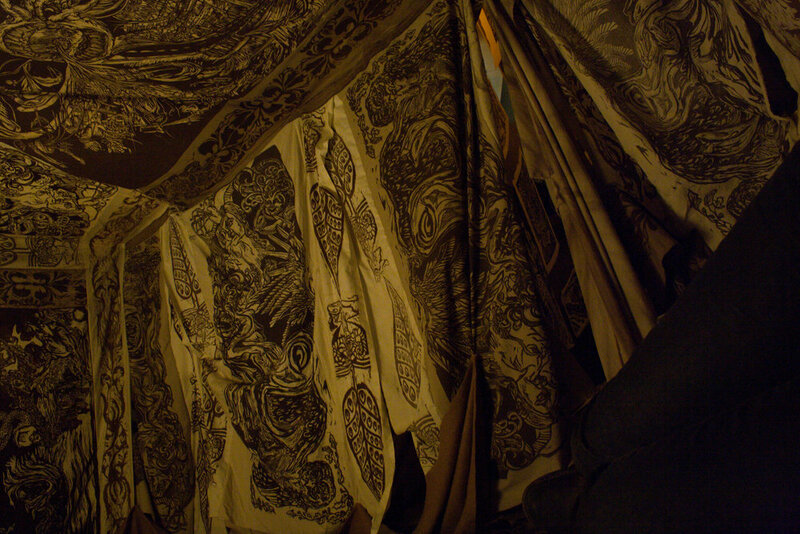 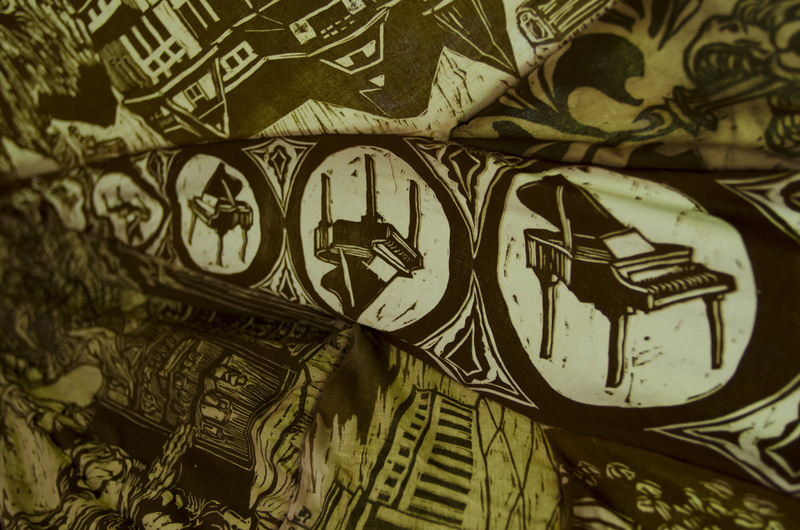 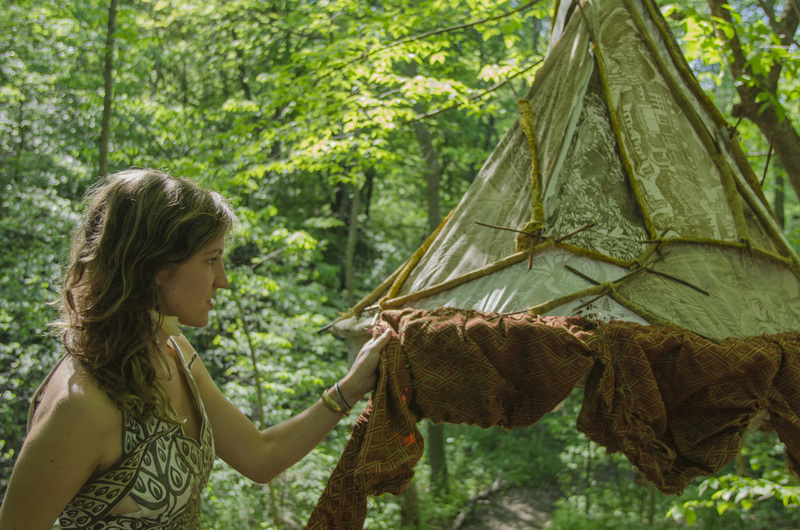 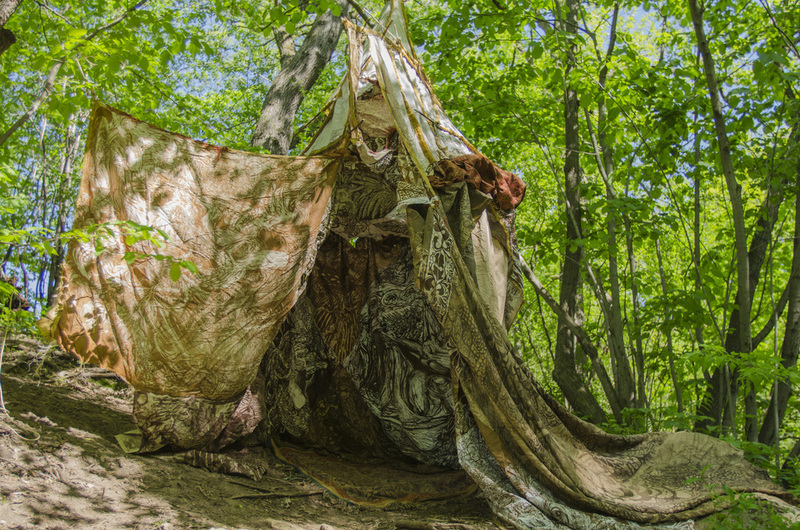 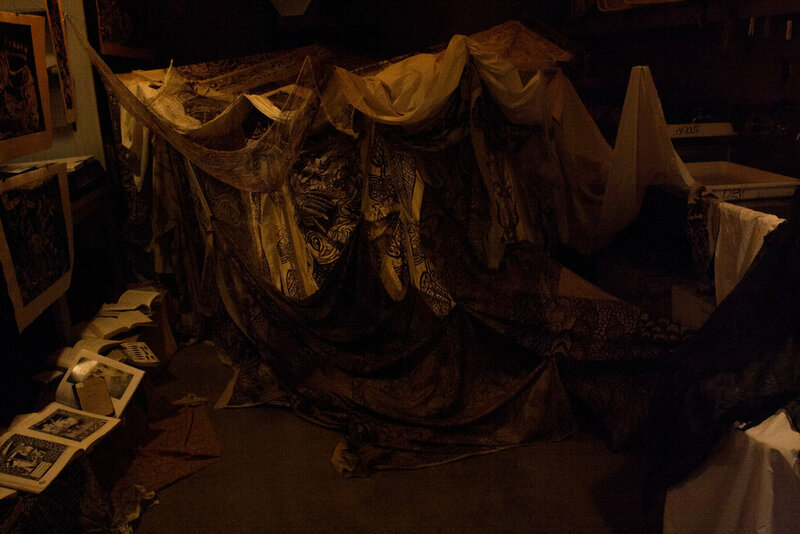 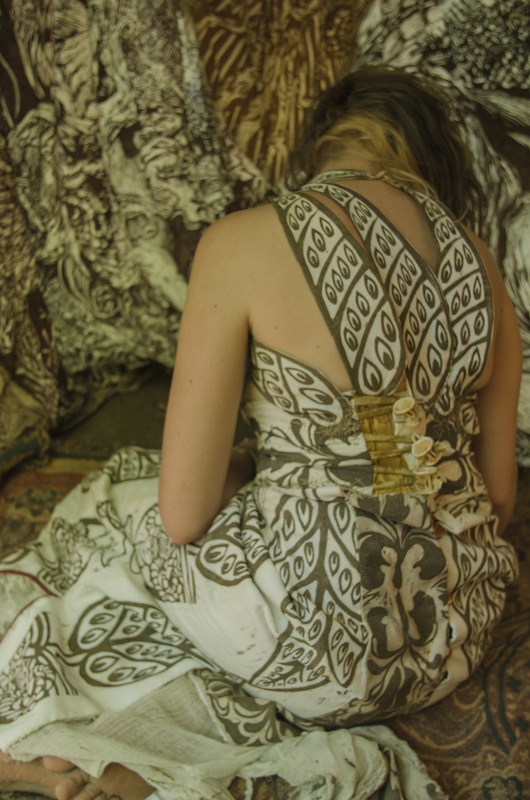 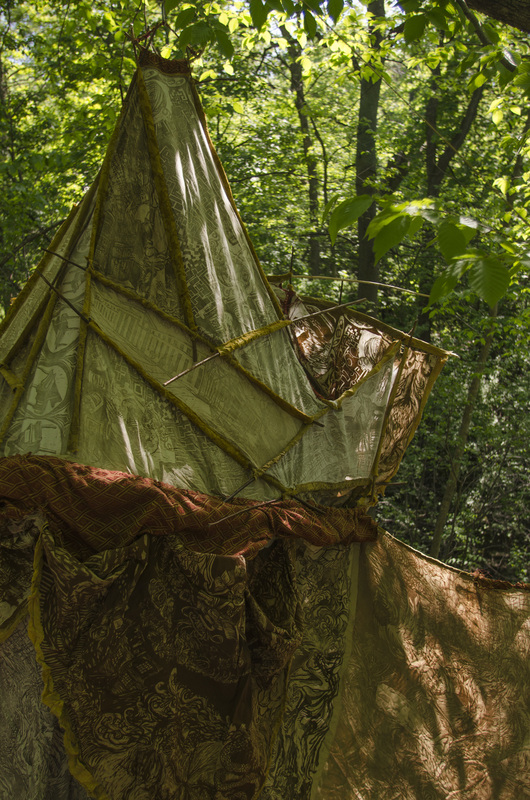 A series of site-specific installations in Minnesota and Bloomington, Indiana, featuring a tent and costume sewn from woodcuts on cloth in various iterations & developments. 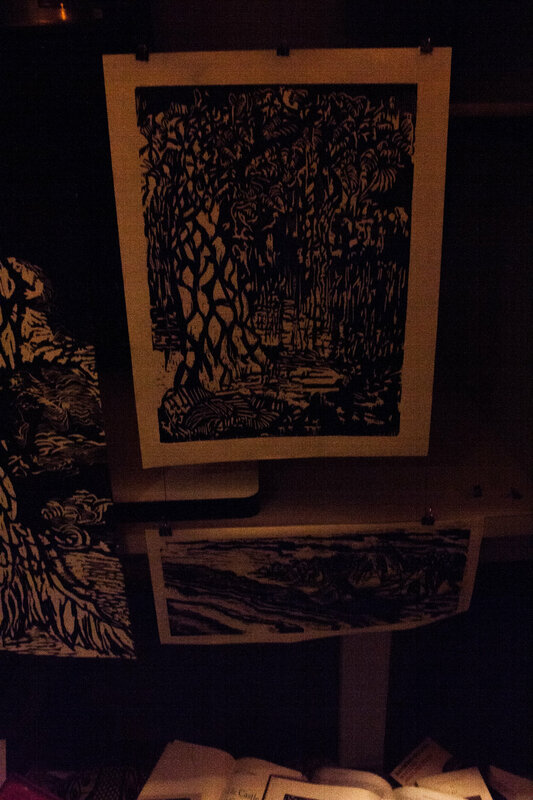 Installation in the darkroom at the graduate printmaking studios at Henry Radford Hope school of fine art @ Indiana University - Bloomington. 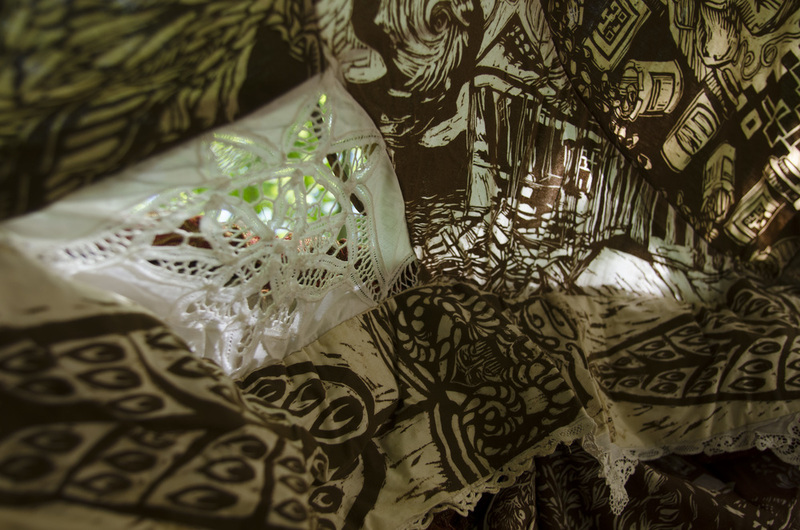 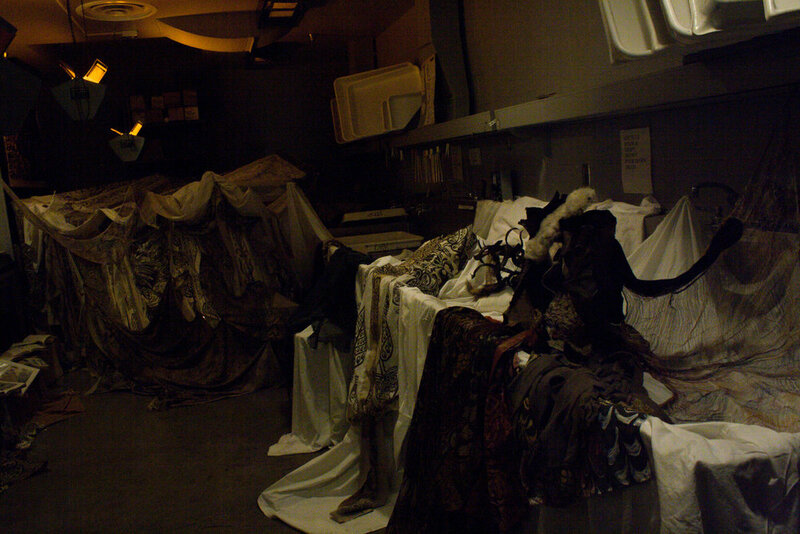 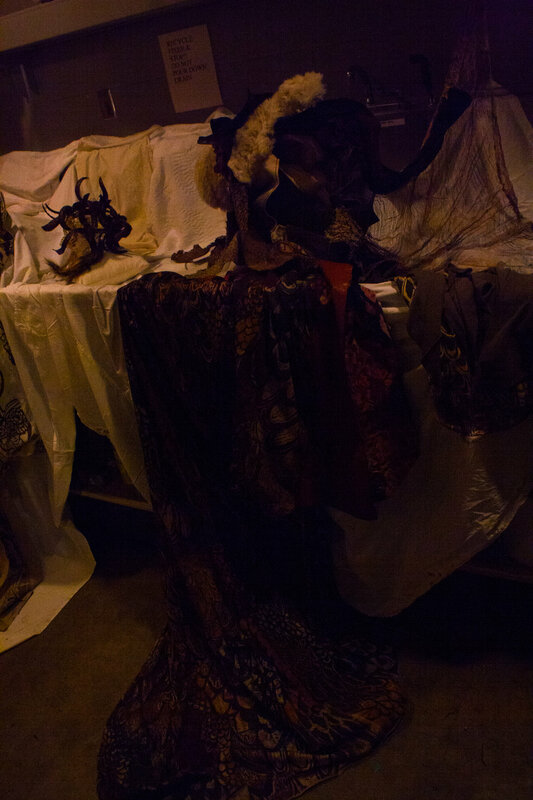 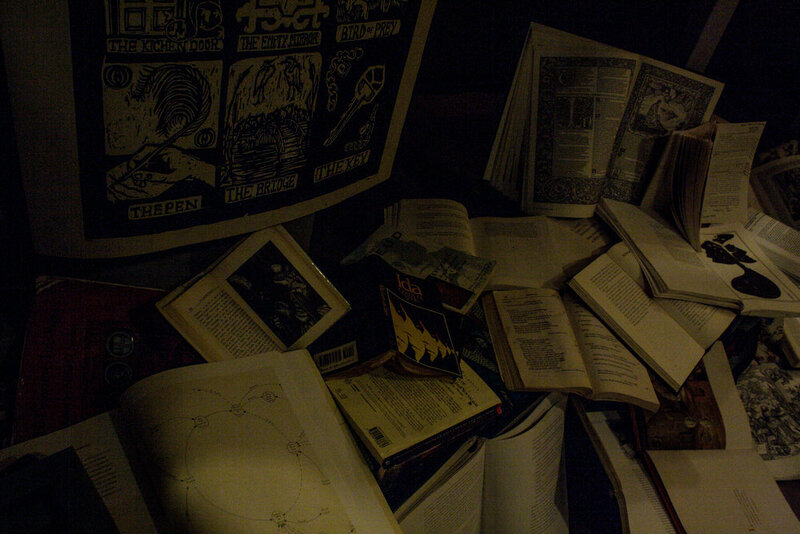 Installation included books, prints, tent sewn from woodcuts on cloth, costumes, drawings, and more. 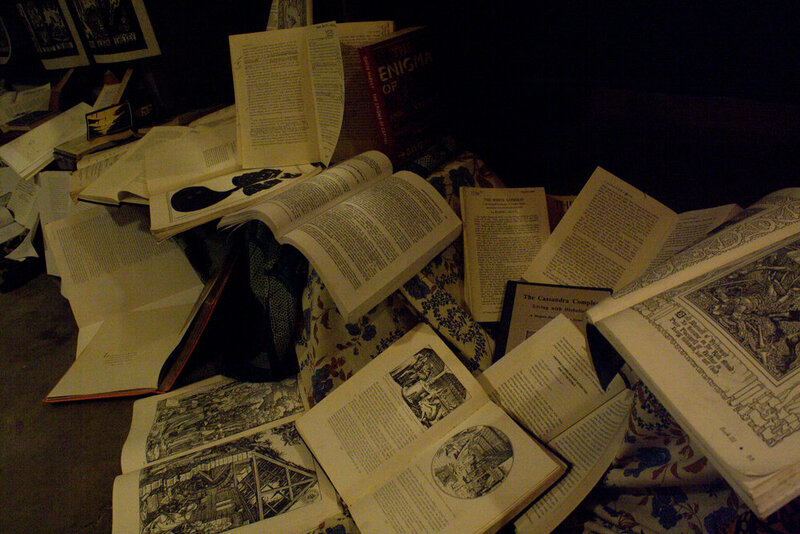 Presented to my Oral Examination committee for evaluation.